Featuring the fragrant pomelo skin, coated in gluey tapioca, floating in the sea of steamed mung beans, this gelatinous pudding Che is both refreshing and nourishing. Eaten with the special thickened coconut milk, it has the right degree of richness that makes you crave for more. 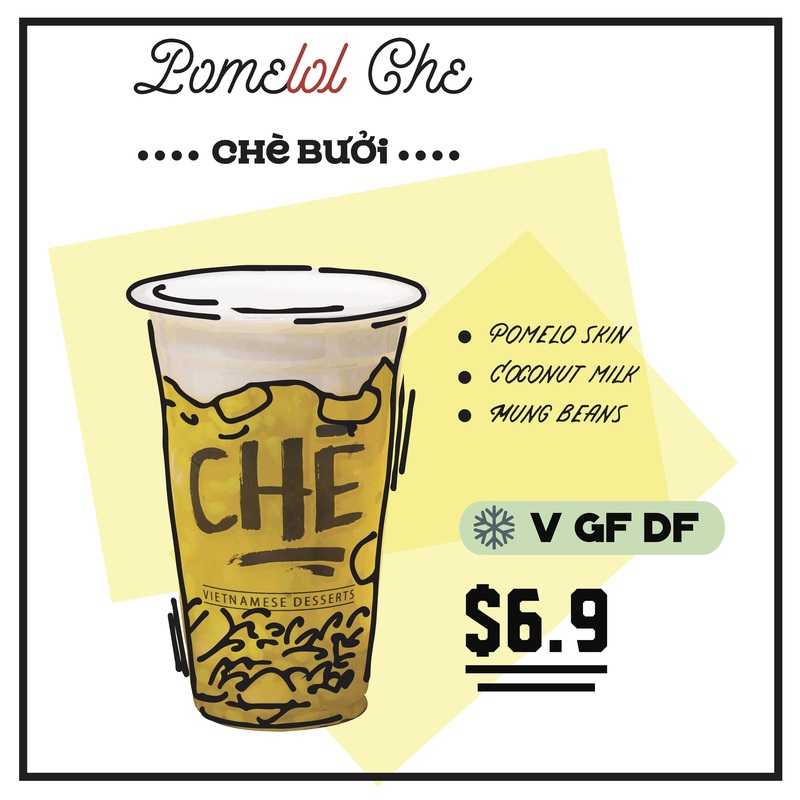 This Che can be enjoyed all year round, served either warm or chilled. This is Gluten Free, Dairy Free and Vegan Friendly.